For nearly 30 years, Stormtech has led the Australian drainage industry with innovative, high performance architectural drainage solutions for commercial and residential projects alike. Keenly attuned to the evolving demands of contemporary construction and equipped with unmatched technical knowledge, skills, and experience, Stormtech has earned a reputation for reliable drainage solutions that are as sustainable as they are effective. 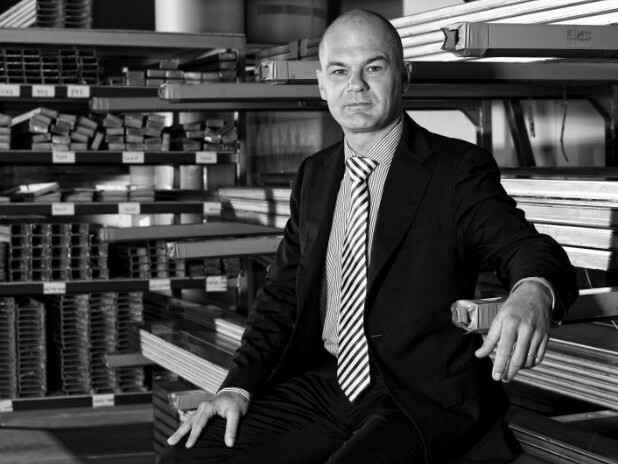 This year, as Stormtech returns to sponsor the Sustainability Awards for the second year running, we caught up with Managing Director Troy Creighton to learn more about Stormtech’s inspiring sustainability journey. Q: Stormtech started as a family business and you’ve been on board since the company’s early days. Over the years, how have you seen the industry evolve with respect to sustainability and environmental issues? TC: I’ve been involved with Stormtech since 1989, and became full time in the early 2000s. Over the years, I’ve seen the industry fundamentally struggle to come to grips with sustainability. There are a few aspects to that: in particular, I’ve seen a cynical branding approach where people make statements about their sustainability but don’t actually change anything in their business. I’ve seen that time and time again. I’ve also seen the struggles of incumbent manufacturing processes. PVC is probably the classic one: it has some serious manufacturing problems but other characteristics mean that it is still in many ways a relevant product. To that end, the industry is still evolving in its understanding of how to be sustainable with problem products or materials like PVC. Unfortunately, some businesses simply focus on what they do do that’s sustainable and completely ignore their unsustainable practices because they don’t have an easy or cost effective solution. Other businesses – like us – fully embrace sustainability and work with the materials to get the most out of them for the market. In the drainage industry, this has seen serious change: now, we’re much more interested in harvesting water post use and reusing it, so grey water and on-site sewer processing are areas that we’ve really stepped up in. Unfortunately, [growth] seems to have slowed down in the last few years, but it is there. Q: I see. What would you say is driving that growth in the drainage industry? Is that coming from code and regulatory changes, or is it driven by individuals within the industry? TC: That’s a good question. I’d say that codes are driving it and regulators are becoming a stronger influence on sustainability. However, the regulators are hamstrung by only being able to interpret the code. So while we now have codified requirements for minimum waste recovery, there’s not a lot of code to actually give [regulators] that support. Q: Is that something that you or other members of the industry lobbying to change? TC: There are two steps to this change. Right now, what I’m lobbying for is the enforcement of existing code. There is actually very minimal enforcement at the moment, so people are using whatever material they choose. Materials and products that are not compliant are going [into buildings] because there’s no enforcement of the code. Before we can use the code properly, we need correct governance and regulation. Q: To look at it from the other side, have you seen the market and consumer preference evolve over the years? TC: This is more complicated. Fundamentally, there are two cultures that need to be changed. One is the industry and professional market, which needs to properly adopt sustainability opposed to just plugging a hole in the market. On the consumer side, it’s pretty much the same thing. People like to feel good about what they’re buying, but price is still driving things. If they can buy something cheaper from an unregulated source, they will. So I feel that consumers are letting down sustainability more than the industry. While what the industry is doing isn’t exactly enough, it’s certainly doing a lot more than the consumers. Q: On that note, can you walk me through Stormtech’s overarching approach to sustainability? TC: Stormtech has made the cultural change, which is fundamentally the big difference between taking sustainability seriously and not. For us, the change came from the fact that in the beginning we were a small business and simply couldn’t afford waste – we had to maximise the efficiency of everything. So we effectively embedded the culture of sustainability within the company, and now it is at the head of the decision making tree. From the very beginning of the design process the first question is always: can we make this a sustainable product or material? And after that: can we manufacture it efficiently from a sustainability perspective? We also need to consider the tyranny of distance – how can we get the most economical freight from a product? That often falls back into existing systems that we’ve now established. We’ve morphed from being a hand to mouth business – sustainable by necessity – to a much larger business that is sustainable by culture. Q: Could you expand on how sustainability is embedded in every aspect of Stormtech operations? Specifically, are you able to explain how Stormtech selects suppliers to ensure they conform to your sustainability goals? TC: The process of selecting sustainable suppliers is not as complicated as people think. There are industry groups out there that typically have a charter; when it’s an industry group with a focus on sustainability – like the Vinyl Council for example – there’s a big push for exceeding not only Australian government requirements but also international ones, and meeting world’s best practice as opposed to common practice. Industry groups can shortcut the supplier selection by a great deal. You can go to the industry group member list, look for the people supplying the kind of thing you want, find out what level of commitment to the sustainable process they have through the industry group, and how their whole business supply chain has engaged with sustainability. You can also investigate how not only materially and environmentally sustainable the product is, but also culturally – whether they support local business, whether they have a charitable arm or an altruistic aspect of their business, and how effective they are ethically. For that, you have to get to know them better. I’ve found the best way is to go with family operated businesses, which are far more open and easier to investigate than corporate entities. Q: Another remarkable aspect of Stormtech’s sustainability approach is your takeback and recycling scheme. Could you talk more about how this came about and how it works? TC: That’s actually a requirement that we weren’t aware of until it was suggested to us by one of the LCA consultants as part of a much more effective holistic sustainable system. We’re not washing our hands of the product once it’s left our facility or once it’s left our client’s site. There were some big issues in developing this because we’re based in regional NSW, and we’ve got distribution not only nationally but globally. In the end, it was really an exercise in engaging with the distribution network and looking closely at how we could take back material, handle it, store it, and have it processed. It actually turned out to be quite simple – we just needed some guidance from the distribution network on how to handle it. Q: We’ve talked a lot about the progress that the industry has made – or is trying to make – but what kind of steps would you like to see the industry take in terms of sustainability in coming years? TC: For me, that would be the cultural change I mentioned at the beginning. I feel we’re not going to have consistent and improving change until the industry, the manufacturing culture, and the consumer culture… until sustainability becomes culture, both in the manufacturing and consumer side. I don’t feel we’re there yet. Unfortunately, what will happen is that necessity will force some change: we need more, stronger governance.